Close-up Of Beautiful Young Woman With Four Shades Of Liquid.. Stock Photo, Picture And Royalty Free Image. Image 41311557. 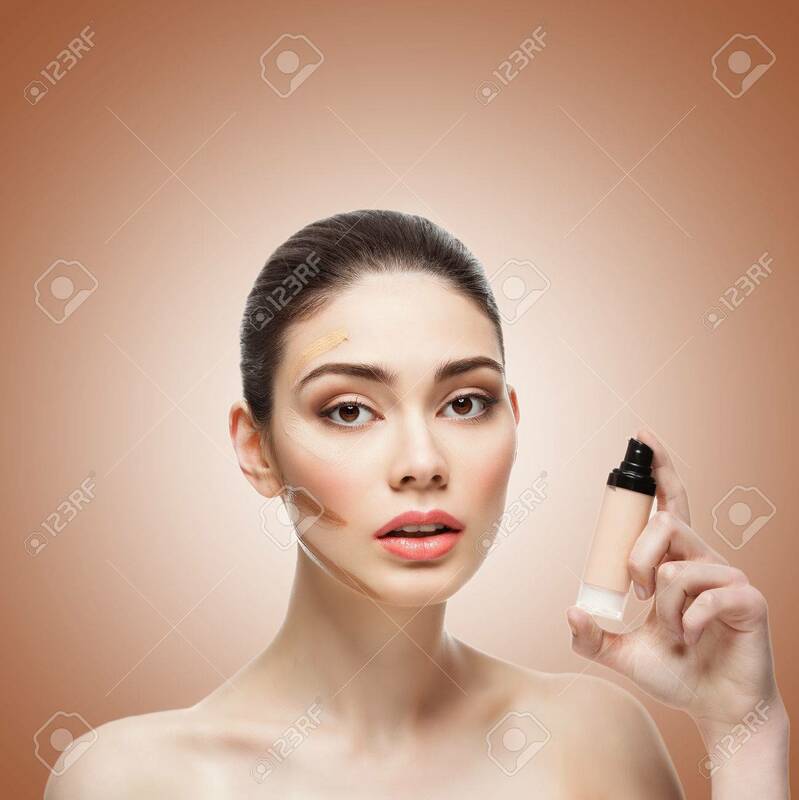 Stock Photo - Close-up of beautiful young woman with four shades of liquid foundation on face and bottle in hand. Isolated over brown background. Copy space. Square composition. Close-up of beautiful young woman with four shades of liquid foundation on face and bottle in hand. Isolated over brown background. Copy space. Square composition.